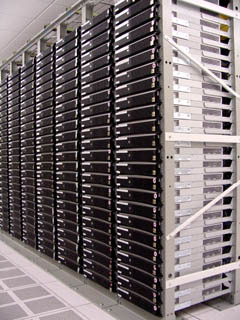 We use redundant OC12 and OC48 connections to host our customers Internet presence. See our Network Connectivity and Topology Map for more information. * All figures are approximated. Servers use high speed Cisco 7500 routers and Cisco 5500 switches (96 full-duplex 100 Mbps ports each) which are equipped with redundant power supplies and redundant route processors. 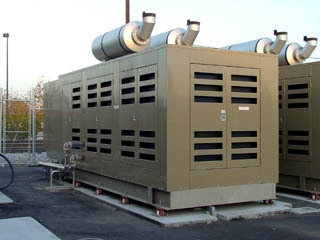 All Servers and networking equipment are supported by Liebert UPS with 1 hour battery, backed up by a 250 kW Onan/Cummins diesel generator with 36 hours of fuel.